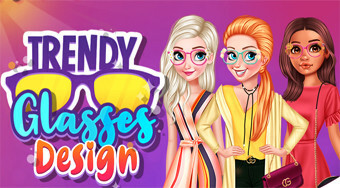 Do you like Trendy Glasses Design? Share it with your friends. Create original goggles for three young girls and choose the right hairstyle and clothing for them.